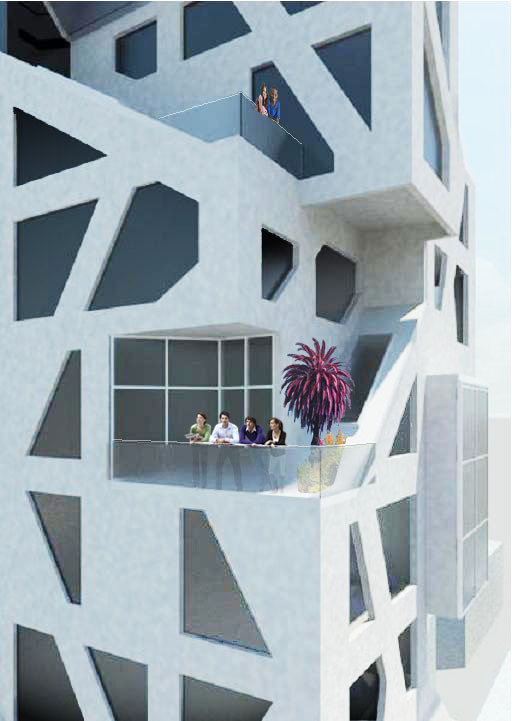 Proposed precast concrete tower in the Gothic Quarter of Barcelona, Spain directly across from the Plaza del MACBA serving as a youth hostel. The tower introduces a series of voids and projections in order to create a textured facade whereby inhabitants can commingle along the cliff like exterior. The precast panels are arranged so as as to create a rigid exterior shell while allowing for niches and perches for people to view the city of Barcelona below. 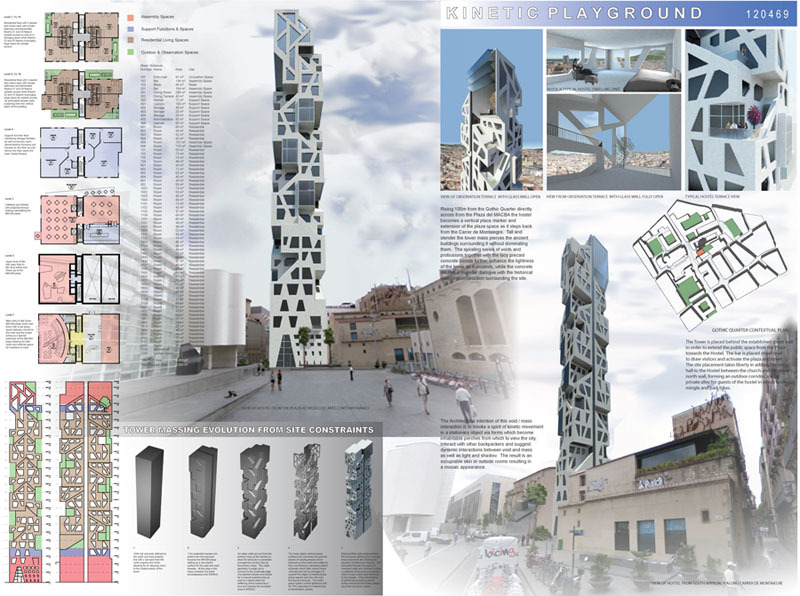 The competition asked that the tower act as a vertical place marker in the old city and the proposal attempts to create a 100m tall structure of hard material with punched openings in order to create a dialogue with the surrounding medieval construction. The precast thus becomes a lacy skin enhancing the lightness of the slender tower while alluding to the predominate masonry construction of the surrounding district.